Welcome to our Conference Ambassador Resource page. We are thrilled to have you onboard as an Inspire Women Conference Ambassador. You have registered for our conference and committed to bringing 5 or more of your friends with you!!!! We hope you are able to invite women in this city who are in need of replenishment. With your support, we can help them cultivate “Relationships that Last”. On this page, you’ll find ways to invite your guests to the conference, plus all the materials needed to promote the event. 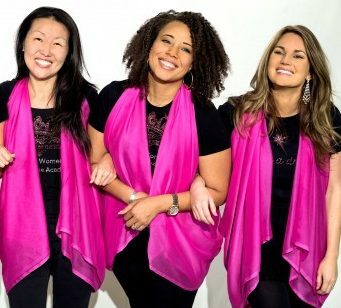 If you have any questions about sharing your personalized link, registering your guests, or downloading any of the promotional items on this page, please email, Jeanene Holliday at jeanene@inspirewomen.org. Share your personal discount link with women at church, work, grocery store, school, friends, and on social media. If you’re missing your personalized link, you can find here. Are you missing your personalized link? HAVE YOU RECEIVED YOUR AMBASSADOR GIFTS? 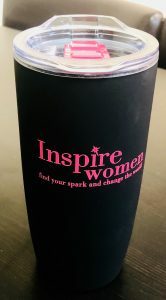 Each Ambassador will receive an Inspire Women Tumbler, a personal pink vest and one for all of her ladies, and an exclusive invitation to the Inspire Women Prayer Walk. You can pick up your gifts at the Inspire Women Oasis while supplies last. 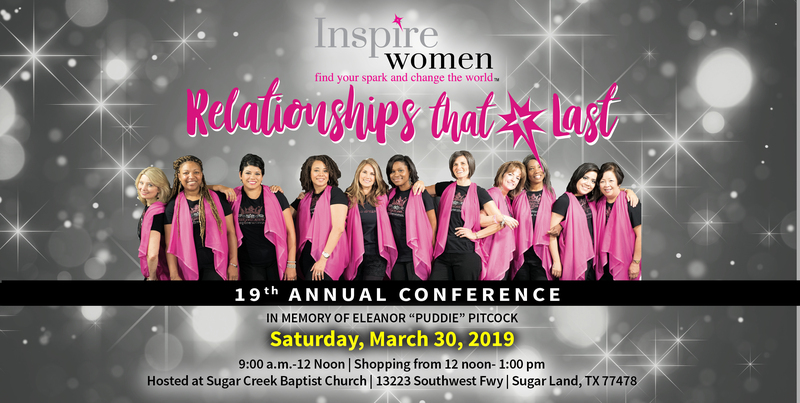 If you have any questions about sharing your personalized link, registering your guests, or downloading any of the promotional items on this page, please email, Jeanene Holliday at jeanene@inspirewomen.org.